In a small bowl, whisk together the flour, sugar, salt, and baking soda. Fit stand mixer with whisk attachment and beat the egg white mixture on medium speed until slightly cooled and thickened, about 2 minutes. Add the butter, 1 piece at a time, until smooth and creamy. If the mixture looks curdled, that’s okay. Just keep beating until it becomes smooth. Frosting can be made 1 day ahead of time and stored in an airtight container in the refrigerator. 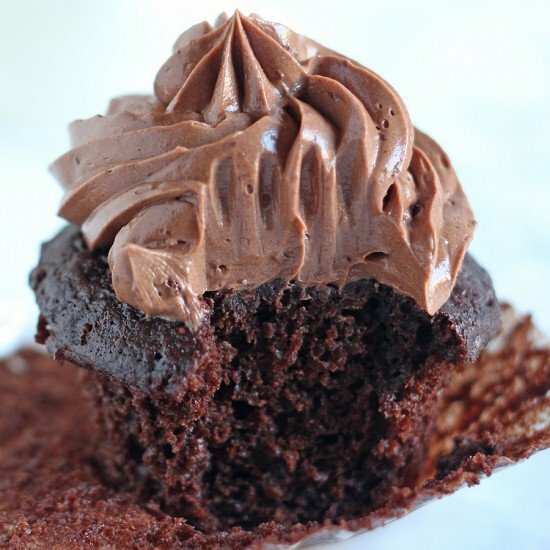 Warm frosting in the microwave for 5 to 10 seconds and stir until creamy again before frosting cupcakes. © 2016 Handle the Heat. All rights reserved.